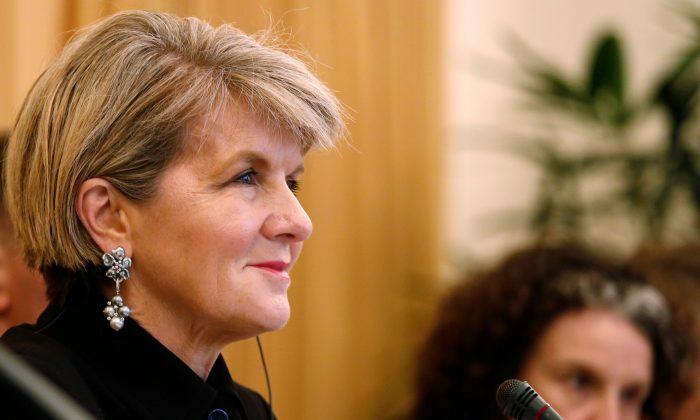 SYDNEY–Australian Foreign Minister Julie Bishop on Tuesday criticized China for pressuring national flag carrier Qantas Airways Ltd to change its website to refer to Taiwan as a Chinese territory, ramping up tensions between the two countries. Qantas said on Monday it had decided to comply with a request from Beijing to remove references on their websites or in other material that suggest Taiwan, Hong Kong, and Macau are part of countries independent from China. “The decision of how Qantas structures its website is a matter for the company,” she said. China’s embassy in Australia did not immediately respond to request for comment. Self-ruled Taiwan is claimed by Beijing as a Chinese territory, and has become one of China’s most sensitive issues. Hong Kong and Macau are former European colonies that are now part of China. China had promised to allow the special administrative regions to be governed autonomously, but the ruling Chinese Communist Party has faced criticism for what some see as it imposing its will on local affairs. Sino-Australian relations have soured in recent months, just two years into a free trade pact after Canberra accused Beijing of covert interference in its domestic affairs. Prime Minister Malcolm Turnbull referenced “disturbing reports of Chinese meddling” when he announced plans in December 2017 to introduce tough new legislation to limit foreign influence, including a ban on offshore political donations. China has denied the allegations, and lodged a formal diplomatic protest in response.